Note: Some developers may knew this already but if you do not then read it because it will be used to increase your performance. First of all what is View Engine? The view engine is responsible for creating HTML from your views. Views are usually some kind of mixup of HTML and a programming language. 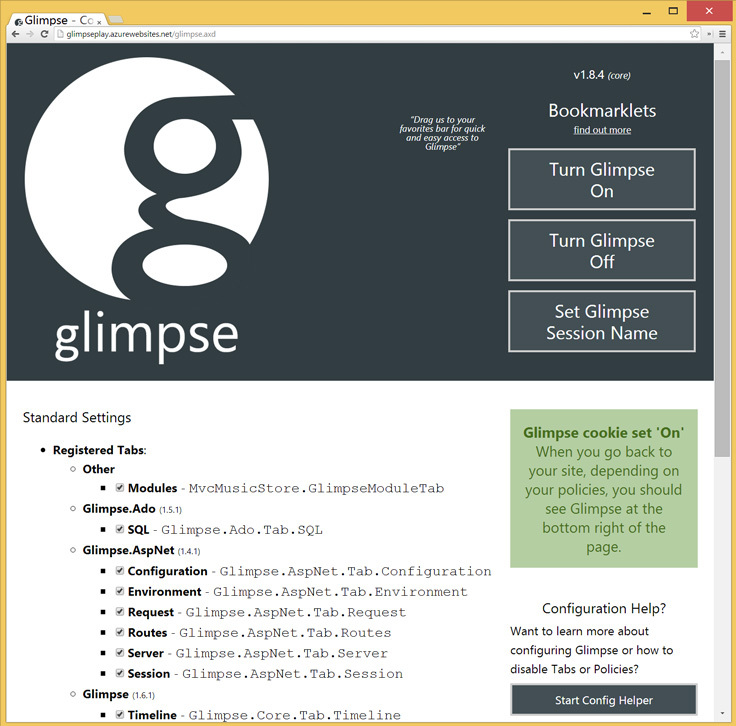 Glimpse is a web debugging and diagnostics tool used to gain a better understanding of whats happening inside of your ASP.NET application. Well no, after downloading you need to turn Glimpse On. now turn Glimpse On as shown in below images. Ok, got it but what is the problem? When you download Glimpse and run your application you will see below bar. You will see that it is looking for the razor and aspx files to all the possible locations. But as we know that we are using razor view engine so it should not waste time in looking other aspx files because we already know that it is not going to be part of solution. Will it affect the performance? Ohh! What is the solution then? You can add this in global.asax Application_Start. // Clears all previously registered view engines. Yes, it will only allow Razor as your view engine. But wait there is a catch! We only need “cshtml” files right? You will surely see nice improvement after this piece of code mainly when you have a big project. In the end some links to redirect you to something awesome which is Glimpse. Hiya, I am really glad I have found this info. Today bloggers publish only about gossips and internet and this is actually frustrating. A good web site with exciting content, that is what I need. Thanks for keeping this site, I will be visiting it. Do you do newsletters? Cant find it. I am impressed, I need to say. cool insight. Nice posts. Great work, keep it up. I like your style. Great work, keep it up. Well written! I found this on Pinterest I have added your website to my Tumblr bookmarks This really answered my problem.